Not everything is well in Dream Land. For some mysterious reason, the Dream Spring, a magical well that is the reservoir for all the dreams of the citizens of Dream Land, is no longer working. Everyone is being subjected to their worst nightmares every time they go to sleep. 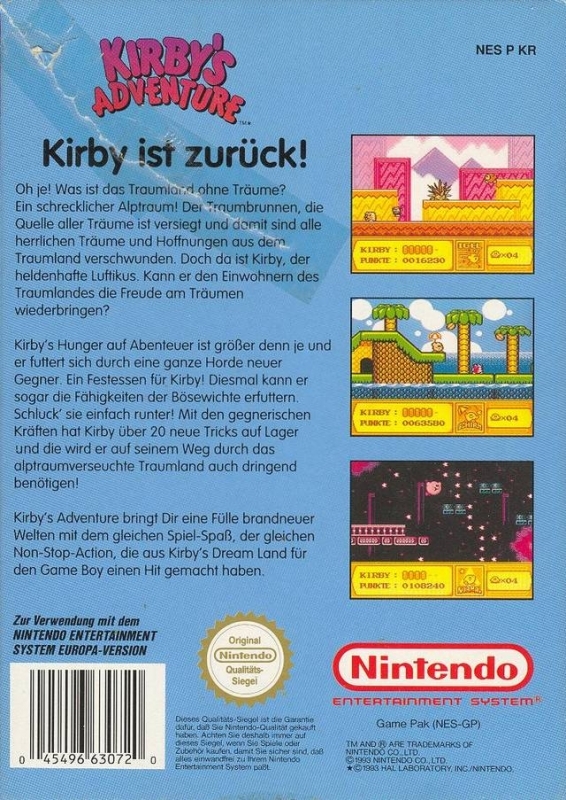 Upon reaching the Dream Spring, Kirby finds out that evil King Dedede has stolen the Star Rod, thus depriving Dream Land of the magical energy that feeds its spring. 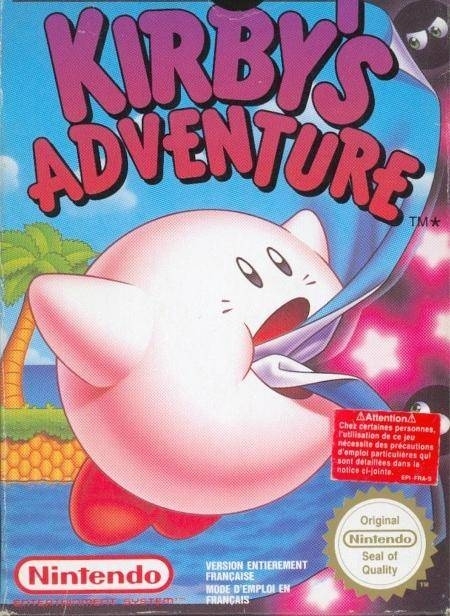 Using 20 unique tricks and the ability to steal enemies' powers by swallowing them, players have to make their way through a horrific land filled with all kinds of nightmares. Recover the broken pieces of the Star Rod and everyone in Dream Land will sleep peacefully once again. 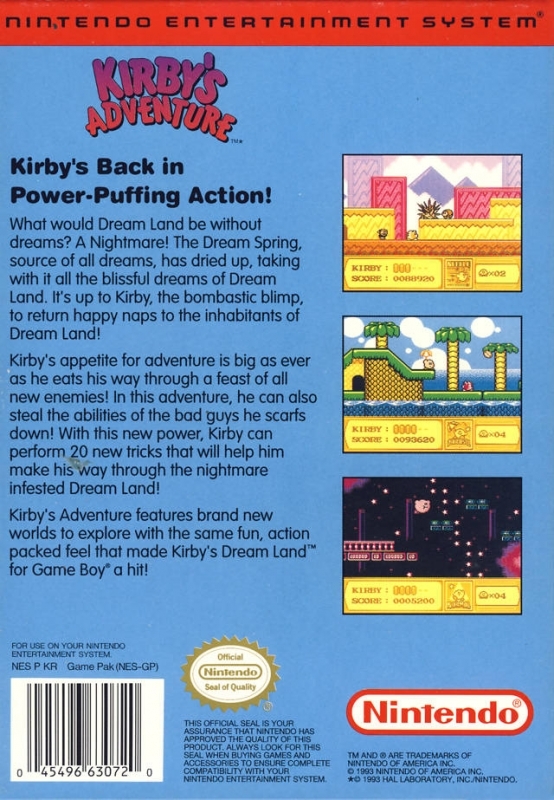 Fail and the citizens of Dream Land will be subjected to a lifetime of terrible nightmares.